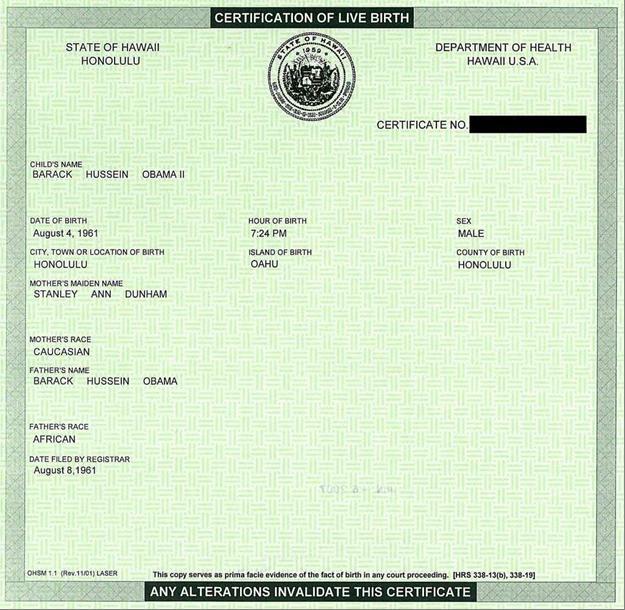 A college professor who worked as a senior elections clerk for the City and County of Honolulu in 2008 is making the stunning claim Barack Obama was definitely not born in Hawaii as the White House maintains, and that a long-form, hospital-generated birth certificate for Obama does not even exist in the Aloha State. 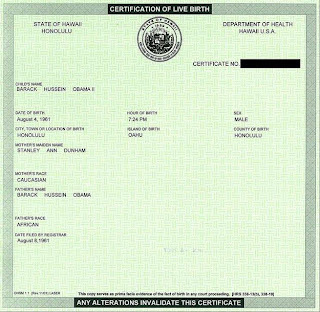 Above is a copy of a birth certificate of someone born in Hawaii the day after Obama was born. Miraculously, Bo got the "modern certificate." 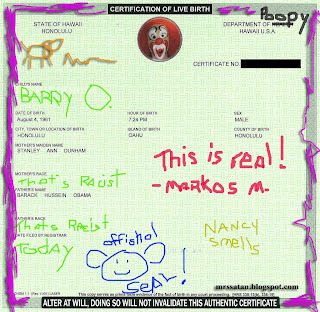 That is such an obvious fake. 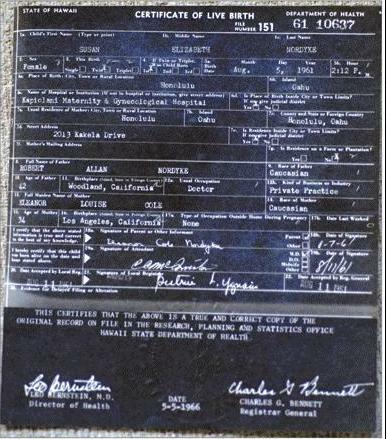 1) The design of the outline of the certificate of live birth is changed each year. Its not even the right design for the alleged year. 2) The race catagories are Caucasian, Mongloid or Negroid. There was no " African" Term used when this was supposedly made.